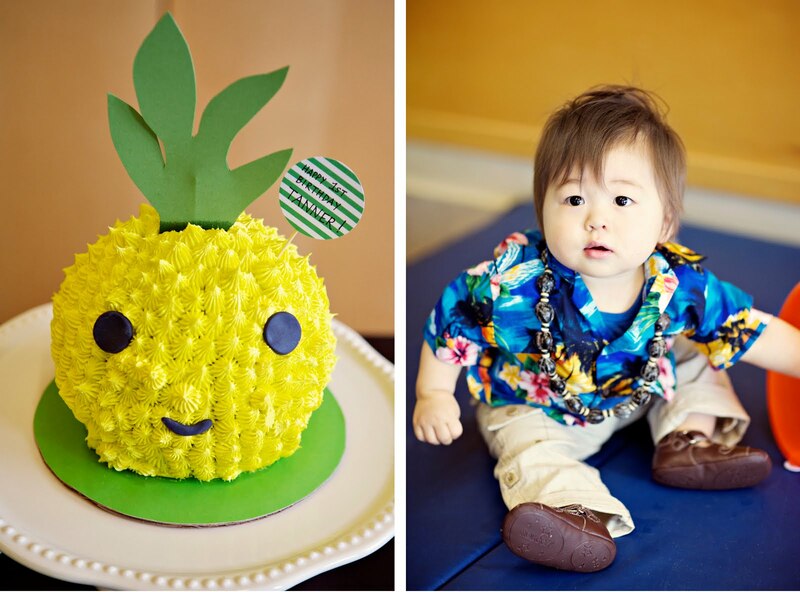 Tanner’s Hawaiian 1st Birthday Bash : Pineapple Head Cake! Twins! Separated at birth! Just kidding Tanny!! 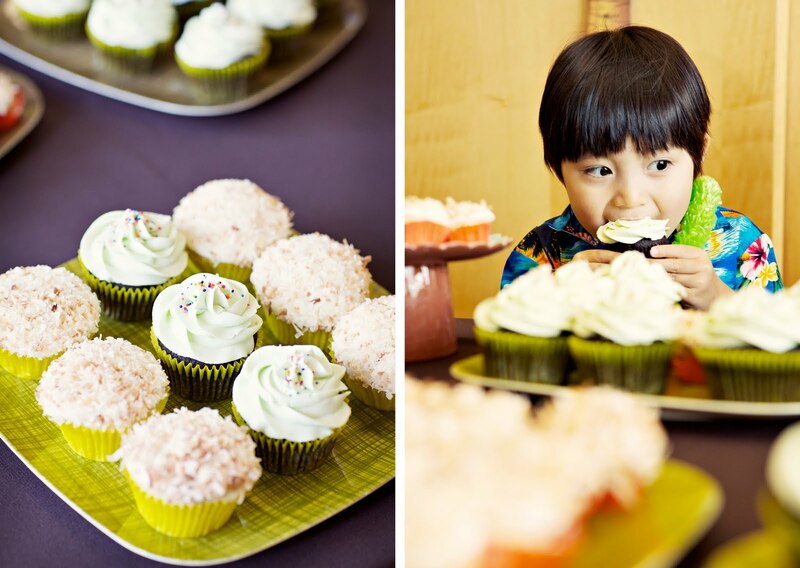 Cupcakes by Coco Cake! And my cute little nephew Brody chowing down! 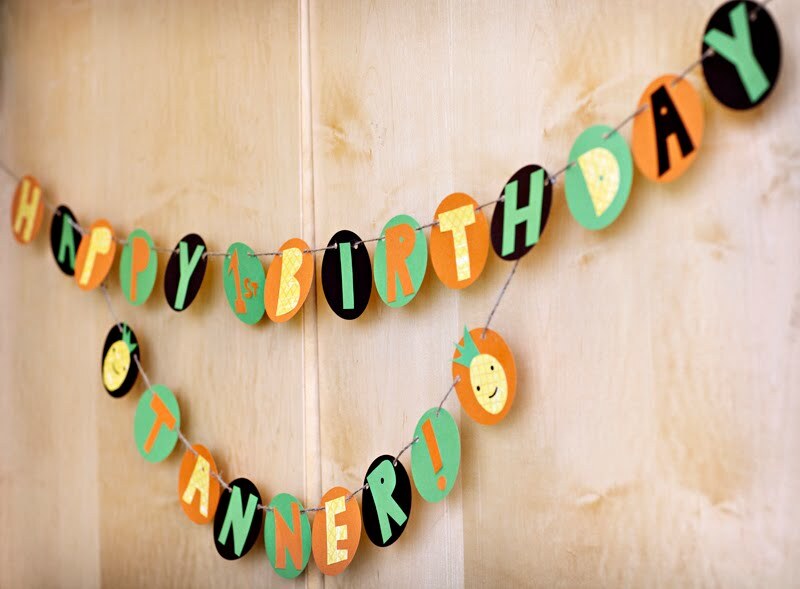 I made this banner… Tanner’s Banners! Aggghhh! Tanny, you crazy cutie! Tanner with his big bro, and my sis Leanne (she’s also pregs! Baby Factory!) and proud Papa Dan! OMG. My hilarious, hefty and adorable little nephew Tanner turned 1 years old on May 15th! 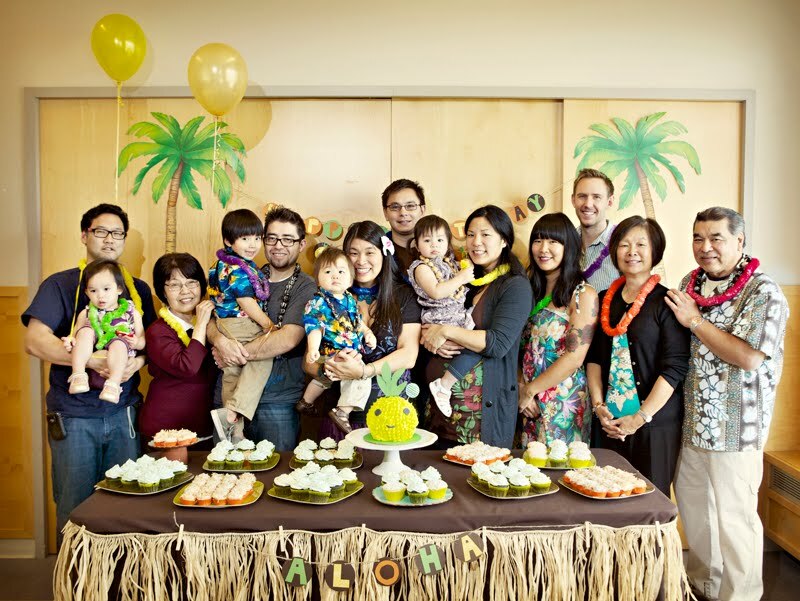 Since our family straight-up has Hawaii in our blood, my sis threw him a Hawaiian-themed 1st birthday bash! So cute! The party was documented beautifully by the incomparable and amazing Camille and Chadwick of Jonetsu Photography here in Vancouver. Back to Tanner. I’ve always described him as a pale, gingery-brown haired little chubalub with an adorable Chinese face smack right in the middle! He is such a chuckling, good-natured, funny little guy. His hair has always had a mind of its own – he had a straight up fully natural fashion faux-hawk until his hair grew into the light orangey brown fashion plate haircut of late! It kind of looks like he’s wearing a cute little wig… I love you Tanny! So much fun! I just love Hawaii. It feels so similar to Vancouver in its diverse and open minded population… but in a tropical setting, of course. Love and shout-outs to Hawaii! Gorgeous photography courtesy of Camille & Chadwick of Jonetsu Photography. Owl & The Pussycat Wedding Cake! 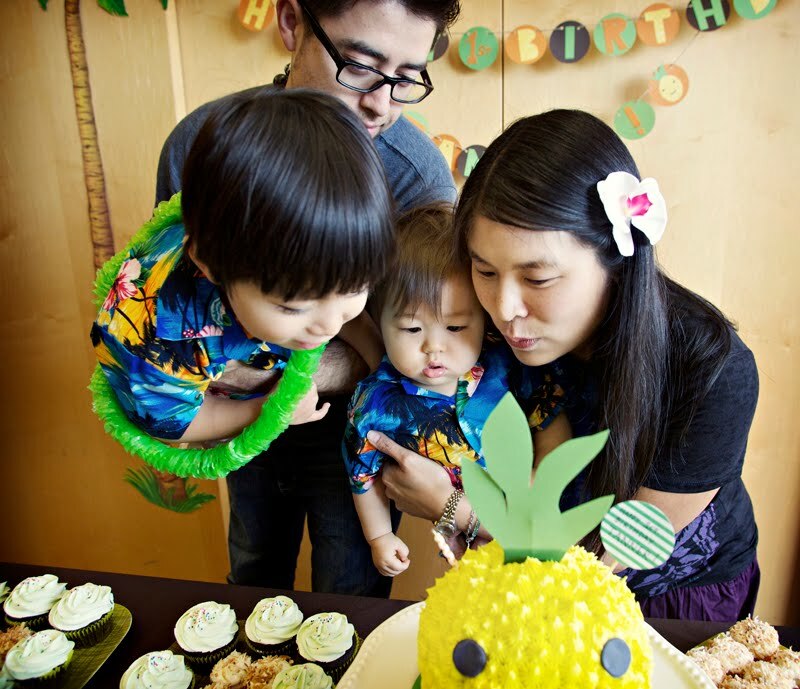 Coco Cake Land Book + Special Sprinkles Mix Giveaway!!! Oh wow – how wonderful and festive! 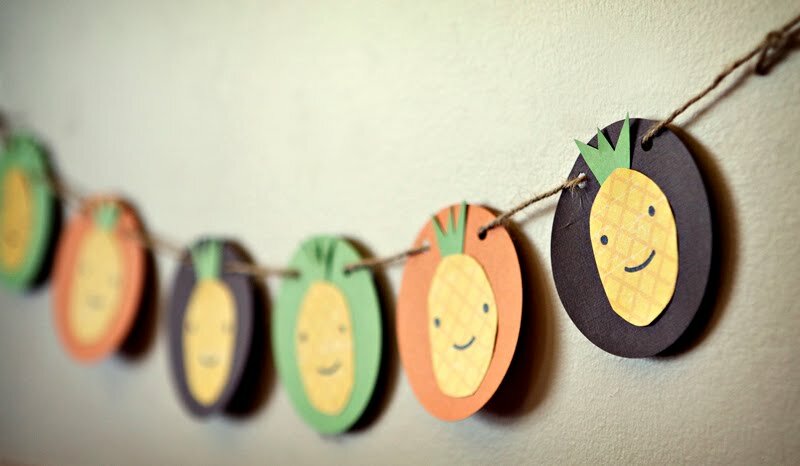 You have a lucky nephew and your family photo looks fab! aloha and MAHALO Auntie Lyndsay! 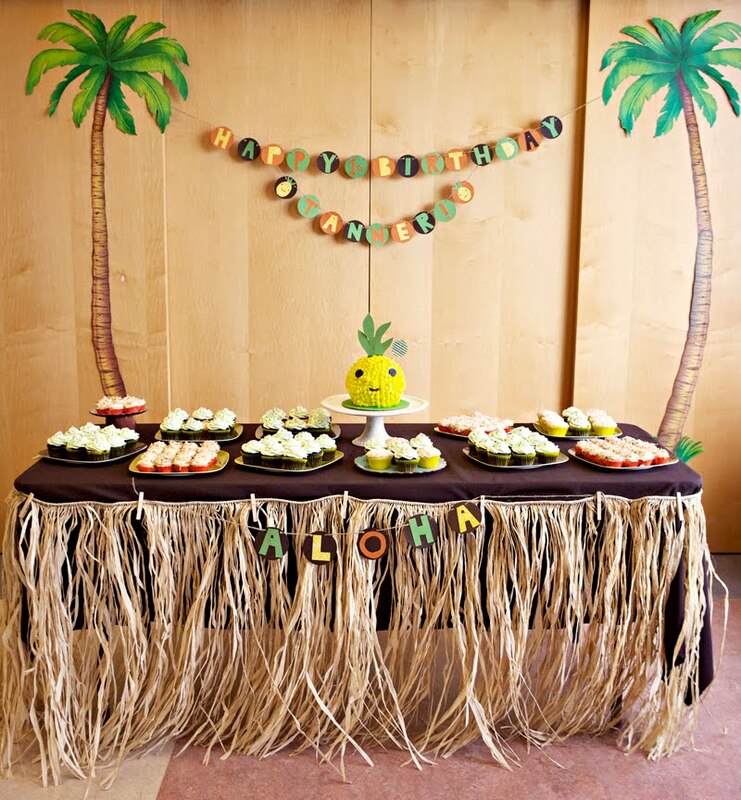 we all LOVED the pineapple cake, coconut cupcakes and choco cupcakes and of course the adorable Tanner’s Banners! :) Tanner is so lucky to have such a talented and cool auntie. xox Hang Loose! Hawaii 4ever! This might literally be the cutest baby I’ve ever seen, from his sweet squishy face to his stylish hairdo. Gyoza Girl aka SIS! Hang Loose, HONUUU! Caroline, I know – I just die a little inside when I see him in person, he’s so cute and funny! The cake is incredible. Everything you make is mindbogglingly cute! I spent almost an hour going through all your blog pictures yesterday. unbelievably cute. all of it. [especially your little nephew!!] and coconut + vanilla cream cheese sounds like its to die for. so unbelievably cute. You are so talented!! 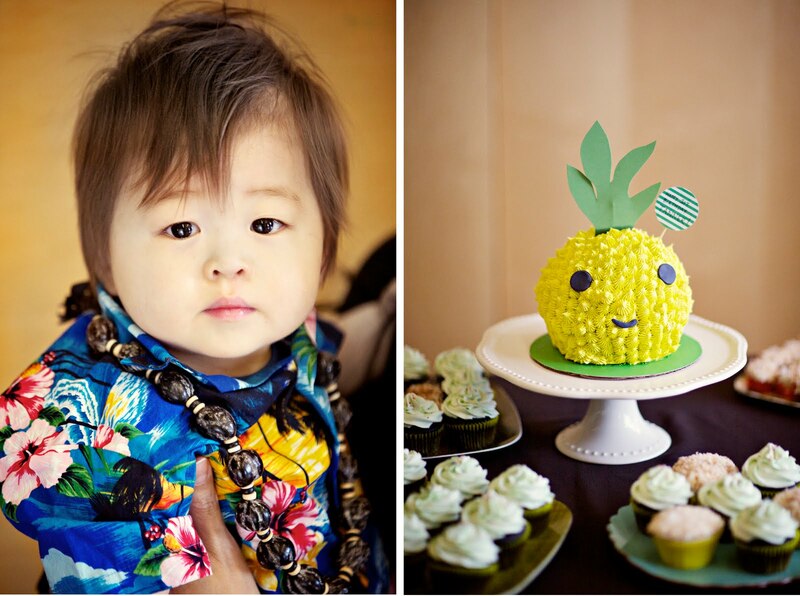 Love, love, LOVE the pineapple cake!!! You make the best cakes ever! I was wondering where they bought the birthday boy’s shirt from? Thank you.